It has just come to my attention that J Crew Factory are having an up to 40% off everything sale!! Not sure if that is a good or bad thing for me - good for my wardrobe, very bad for the wallet but who can resist when you are getting gorgeous garments for excellent prices. 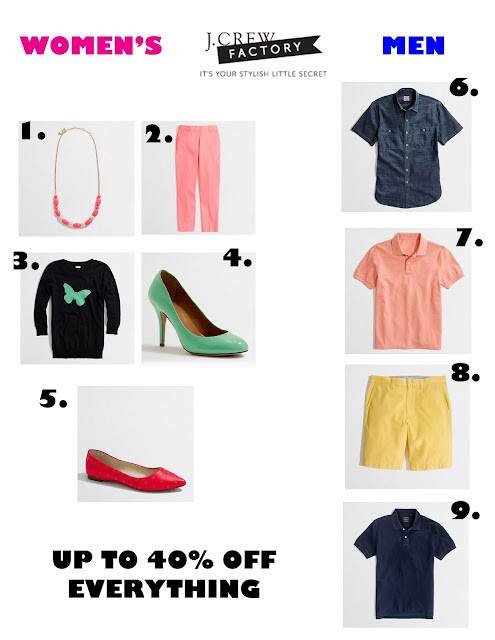 Check out my picks below - I adore the black jumper with the mint butterfly - Lots of mint items in the sale ... Think they saw me coming! !